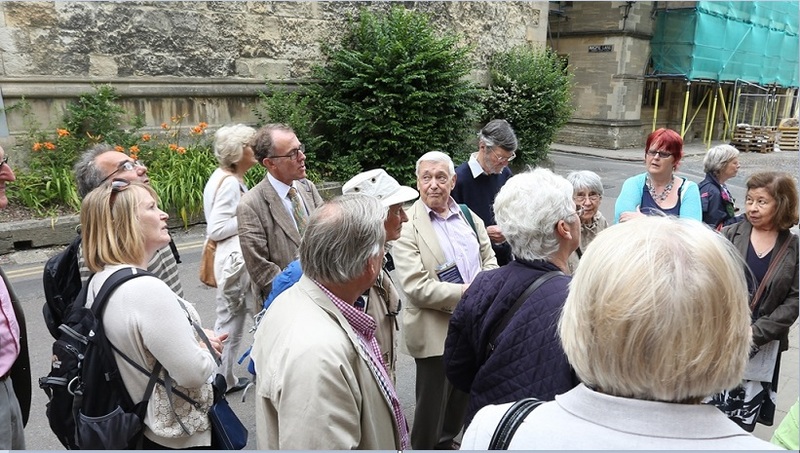 There are connections between Reading Abbey and a number of Oxford colleges and the Friends' 2015 annual outing on 8th July was to explore some of these. 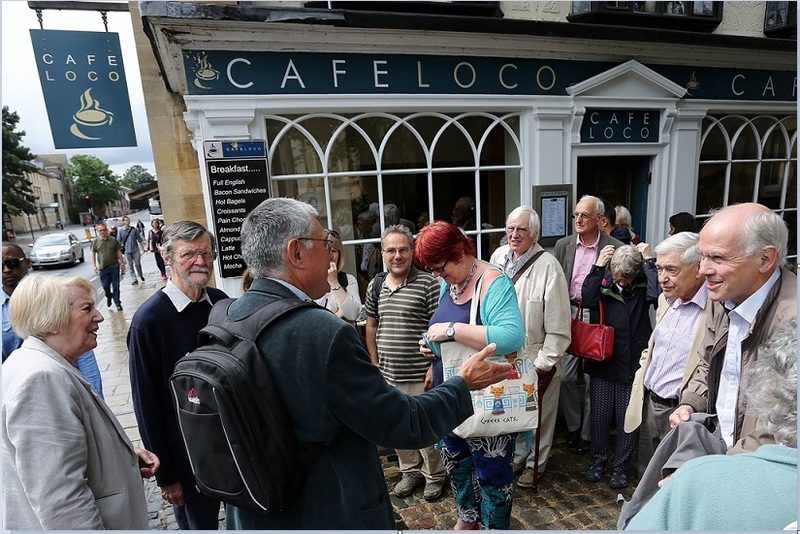 Approximately thirty Friends gathered at Cafe Loco in St Aldates, just down the road from Christ Church College, at the beginning of what was to prove an interesting and informative day. 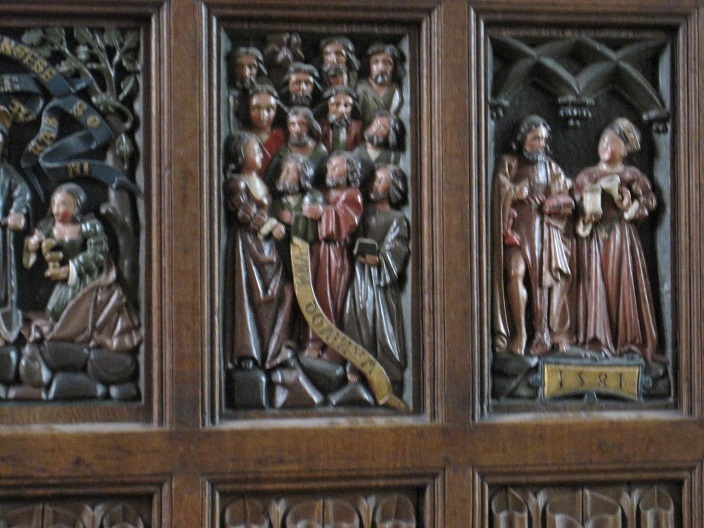 The first college the group visited was Christ Church, which contains within it the Cathedral church of St Frideswide. Christ Church was chosen as an examplar of a medieval religious building, how Reading Abbey might have looked before the Reformation. The Friends' president, Professor Brian Kemp conducted the tour, first round the cloisters, one of the very early parts of the college's buildings and how Reading Abbey's cloisters may have looked; then the Cathedral with its wealth of evidence of its Norman construction; and finally a look at the Early English head carvings with their strange faces, which can be seen in the College's Gift Shop. The next college was Merton, just around the corner from Christ Church. The chapel at Merton was built upon land formerly owned by Reading Abbey. The college still has the seal recording the conveyance in 1255, indeed the artefact enjoys the status of being item no. 1 in the catalogue of Merton College's possessions. 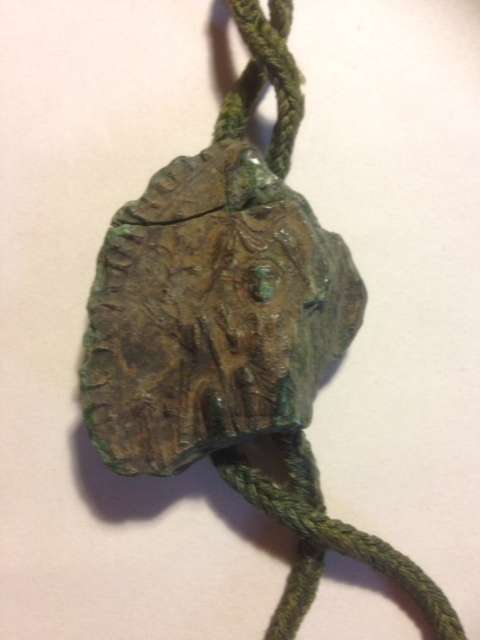 Professor Kemp had negotiated with Merton College authorities for the conveyance and seal to be available for the Friends to view. Our tour consisted of a viewing of the chapel itself, and of the Old Library where the seal and associated document recording the conveyance had been put on display for us. 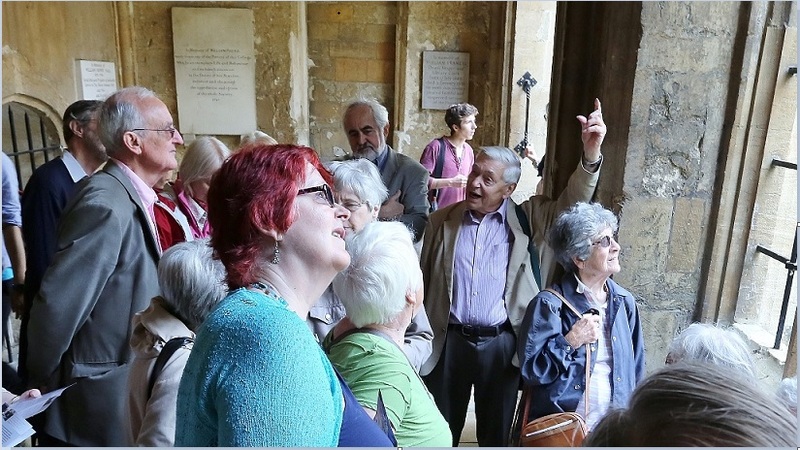 The tour of the chapel was guided by Dr Julia Walworth, College Librarian, and that of the Old Library by Dr Julian Reid, College Archivist. The Friends are very grateful for their putting time by to conduct the tours. After a break for lunch, the Friends assembled at the lodge of Magdalen College. 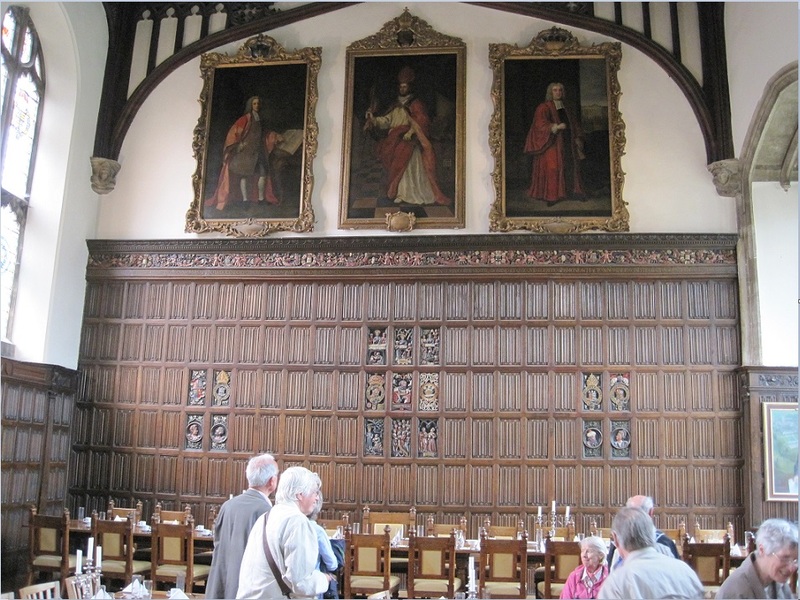 We were met there by Dr Robin Darwall-Smith, College Archivist, who led the way, via the large Cloister/Quad to the Great Hall to view the linenfold panelling, reputed to have originally been installed in Reading Abbey. This is referred to in the college's Illustrated History (pdf file, 4.1mb, the reference is in section "Lectures"). There is no direct evidence that the panels originally came from Reading Abbey, but the above facts do not negate such a possibility. 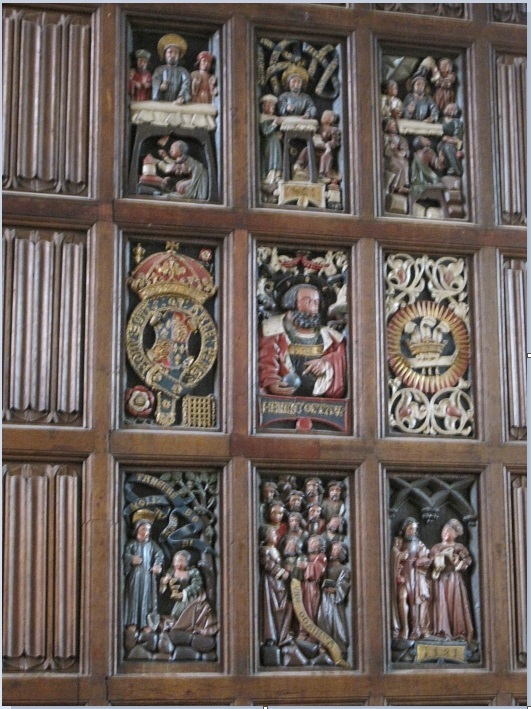 The panels may have been removed from the Abbey soon after the Dissolution in 1539, taken to London for disposal, and there been purchased by Magdalen College. 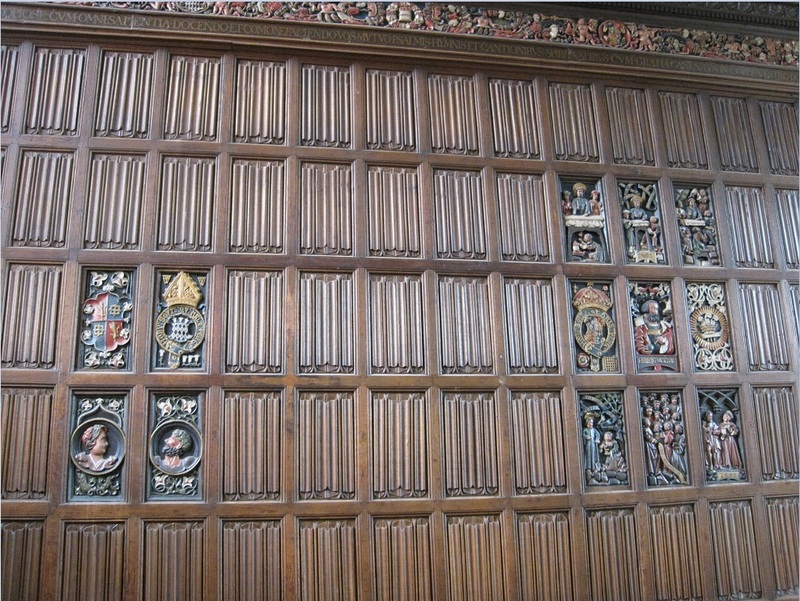 Friends had an opportunity to examine the panelling. Then Dr Darwall-Smith conducted us to view the college's impressive chapel to conclude the visit. Gratitude was expressed to Dr Darwall-Smith for showing us around the college. The final visit of the day was to Balliol College Archive, located to the north of Magdalen College in the now redundant St Cross church. The Friends were met by Miss Anna Sander, College Archivist. 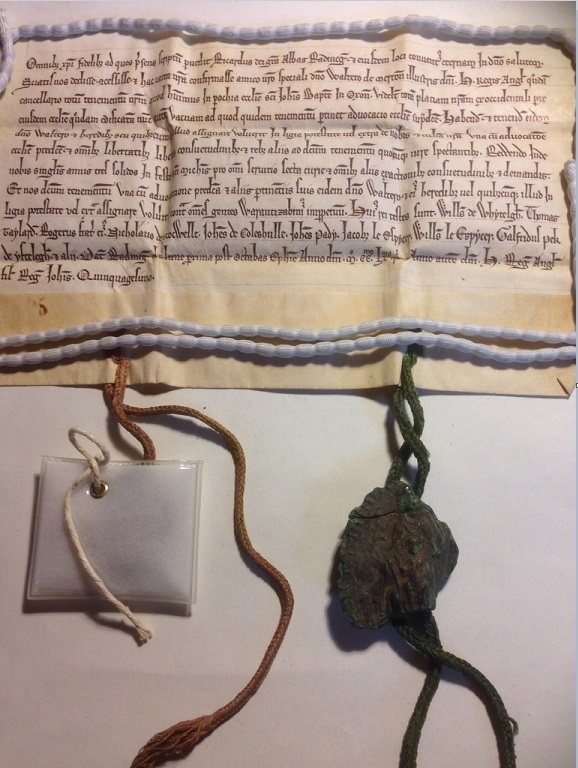 Professor Kemp explained about the main item of interest to The Friends in the Archive, the document and seal dated 1328 of the Abbot of Reading, Nicholas of Whaplode, confirming a gift of � to the scholars of Balliol towards the cost of building the chapel of St Katherine. 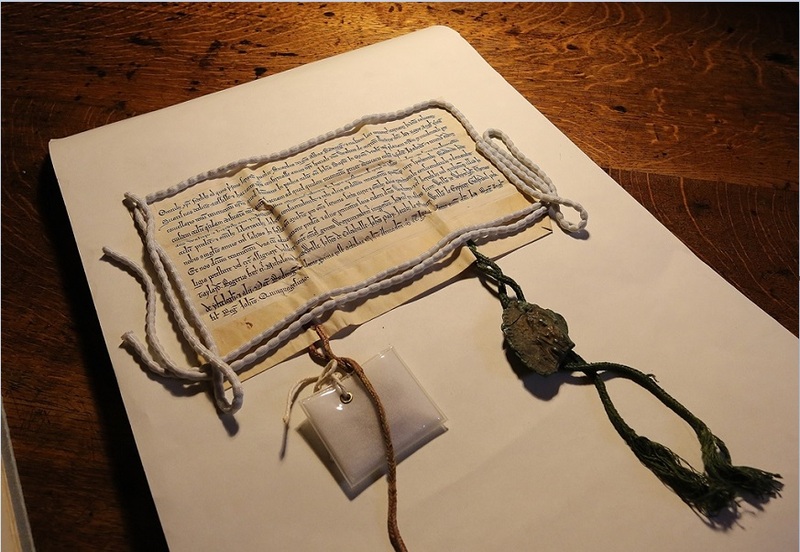 Information about the Friends' visit, including photographs of the seal and document, have been added to the Balliol College archivist's website. The Friends' visit is currently on the front page of the website. If it is not on the front page in future, it should be possible to find it by searching on the website for "Friends of Reading Abbey". Thanks were expressed to Anna Sander for hosting the friends' visit. This brought an end to a memorable and informative outing. 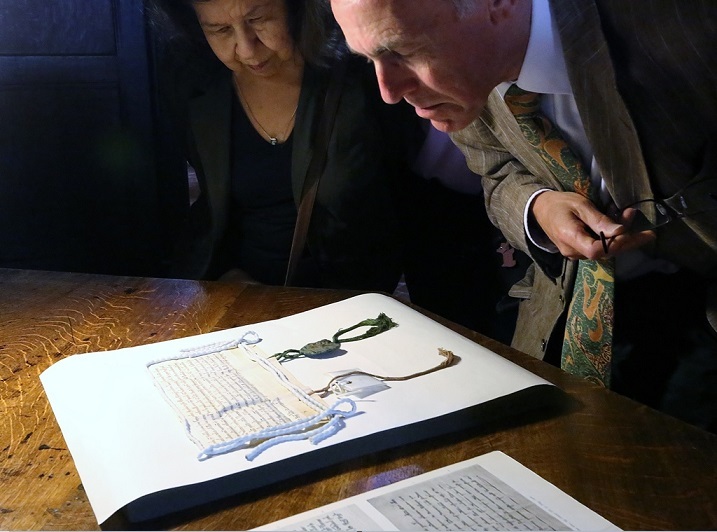 Our grateful thanks go to our President and secretary, Professor Brian Kemp and John Painter, for organising the tours; and to the authorities of the colleges for permission to view these remarkable items related to the history of Reading's Abbey.